Bodyment has only the best in surgical grade womens compression vests & sleeves. Designed for 24 hour wear post-surgery, the fabric will keep you cool and comfortable and help you recover better. We have a range of Marena and ClearPoint Medical vests and sleeves with adjustable hooks and eyes for ease of wear. 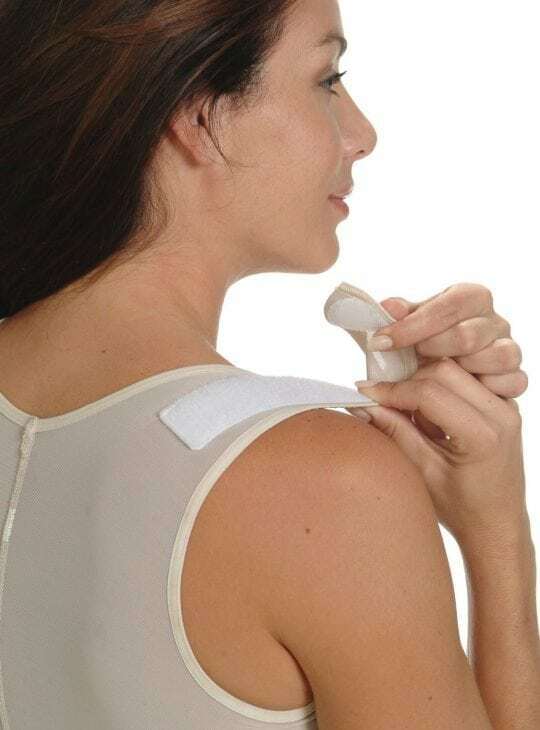 The vests and sleeves are ideal after most surgical and non-invasive procedures, helping to reduce swelling and improve skin retraction. Bodyment compression vests and sleeves have zips and hooks and eyes to make your life easier. Marena surgical grade garments are made with anti-bacterial fabric that helps prevent infection. We suggest wearing your vests or arm sleeeves 24/7 for 6 to 8 weeks. Remember to check with your Surgeon prior to buying your garments as he/she may have a preference.